I have been looking for an off-duty carry piece for when my Glock 19 is impractical to conceal. I know 9mm subcompacts are a dime a dozen and I’ve cycled through my fair share of carry guns over the years. I was comparing the new models out there and discovered that Sig Sauer now offers a very reasonably priced (< $500) 9mm single stack subcompact in the P290RS. The Sig P290RS is the updated version of the Sig P290. The “RS” stands for restrike, meaning the trigger is capable of being pulled a second time in the event of a light primer strike. Apparently the first P290s had some issues with reliability and the RS model was Sig’s response. Now I won’t get into the value of a second strike capability in a pistol. 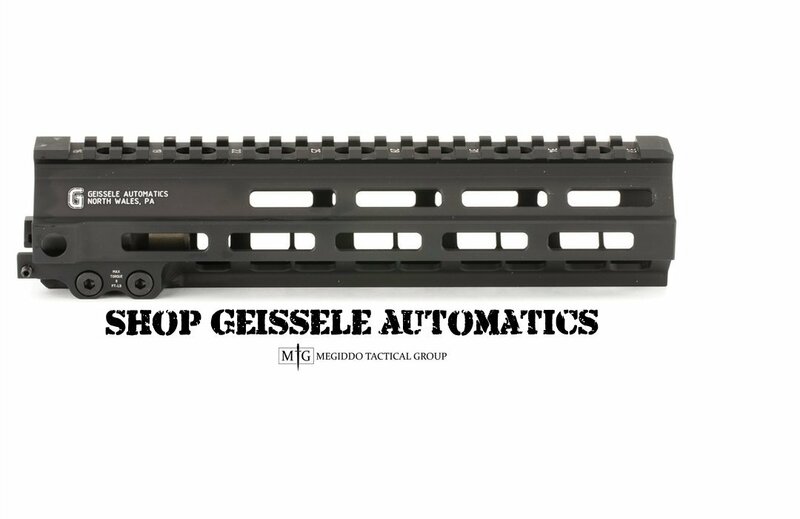 If you have been drilled in the immediate action route of tap-tilt-rack, your ingrained reaction to the gun not going bang isn’t going to be pulling the trigger again. Honestly, I know I have had light primer strikes over the years but I’ve had magnitudes more malfunctions that weren’t light primer strikes and pulling the trigger again wouldn’t fix anything. But the feature is worth mentioning if for no other reason than to explain the suffix on the model number. The P290RS measures 5.5” in length, 3.9” in height and 0.9” in width. It weighs 20.5 ounces with an unloaded magazine. It carries 6+1 with the flush fitting magazine and 8+1 with the included extended magazine. Without the extended magazine you do have the floating pinky syndrome that is common to all small pistols. If nothing else, this forces you to focus on your fundamentals of proper grip. Regardless of the small size the stippling on the grip and the removable/customizable G10 grip panels ensure that what grip you do have is locked in. I will mention that my wife (who is a shooter) handled the P290 and she didn’t like the stippling on the grip. It was too “sandpapery” for her liking. I am usually all utilitarian when it comes to a pistol. I tend to eschew any fancy looking finishes or cosmetic touches. Then I saw the Oil Rubbed Bronze (ORB) model. The frame is the standard black polymer but the slide is a gorgeous dark brown. The removable grip panels really set everything off and the pistol is quite pleasing to look at. I wish I could say that the finish helped me shoot a tighter group or it blinded my adversary with dazzling pistol brilliance, but I can’t. It just looks purty and is the same tough Nitron finish that coats most other Sigs so you don’t trade functionality for cosmetic appeal. The operation is a standard Double Action Only (DAO) affair. The pull is long but the entire press is smooth and consistent with only a little stacking at the end. The reset is all the way out like other DAOs. This initially threw me and when trying to run the gun fast I was short stroking the trigger by not fully resetting it. That is a familiarity issue and not the guns fault. The pistol is equipped with the three dot Sig Lite night sights. The rear sight has a flat front which assists in performing single hand malfunction clearances. The sights are also one of my gripes with the gun. I discovered that the front sight was dead from the factory. That is to say the tritium either wasn’t present or had been damaged so the front sight wasn’t visible in low light. To Sig’s credit when I brought this to their attention they were quick to offer me two solutions. One was to have the slide shipped back to them for their gunsmiths to install a new front sight. The other was for them to ship me a front sight and have it installed locally. I chose the latter and Sig got the front sight to me later that week. Shooting the 290 isn’t as unpleasant as some of the other subcompacts that I have shot. Even shooting some of my hotter handloads, recoil was very manageable. The pistol weighs in at 20 oz and compared to other lighter subcompact 9mms the extra couple of ounces helps with recoil and followup. The pistol is snappy but that’s a function of its size. Even with its snappiness I never found the recoil to be uncomfortable. The longest shooting session I’ve had was a 100 round string. At the end I was still fresh and could have shot another 100. I can’t say the same about 100 rounds out of my J-Frame or my old PM40. Another thing to mention is that in 500 rounds I haven’t had a single malfunction, with either ball or Speer Gold Dots. Concealability as you can imagine is outstanding. When worn inside the waistband the P290 practically disappears due to its small size and easy curves. This isn’t a shock when you see how small it is (The holster featured is from aliengearholsters.com and I’m currently writing up a detailed review of it as well). I’ve talked the thing up, but what gripes do I have? I’ll be honest, I do have a few. One is the dead night sight. To Sig’s credit they fixed it and fixed it fast, no questions asked other than my address. But really? Out of the box? I’ve heard grumblings about Sig’s quality control slipping and a dead sight from the factory doesn’t help that perception. Another is the provision to mount a laser module on the dust cover. I didn’t mention that as a feature because I don’t have the module and after having used a Sig red dot I am wholly unimpressed with their branded accessories. That said, there is a small port in the dust cover that you can fasten a laser aiming module onto. As a placeholder Sig has graciously supplied a small molded rubber plug that fills the hole. It isn’t terribly sturdy and depending on how you holster your pistol (read: dropping dust cover onto holster body, rock forward and in) that rubber plug can get snagged and distorted. Is it going to cause any problems? No. Does it look odd that you have a little black uvula hanging off your pistol? Sure. What’s the solution? I don’t honestly know. Maybe a stiff polymer plug that has the same attachment hardware the laser module does? Lastly, and I know this one is my fault. I will have to blame this last problem on my parents, my upbringing, that I was homeschooled and that we rooted for the Cubs – I’m left handed. As such Sig pistols in general are a bit of a chore to manipulate the controls on. With the P290 being a DAO there is only the slide stop lever to worry about. It is artfully blended into the lines of the gun and really doesn’t increase the functional width of the gun. Shooting it right handed your thumb can readily lock back and drop the slide. If you’re wrong-handed like me, it’s a chore. While I can usually operate slide stops with the flat of my trigger finger between the first and second knuckle, that isn’t a trick I can easily pull off with the P290. I CAN do it, but there is a great deal of breaking my firing grip to press my finger in and up hard enough to activate the lock. Huge deal? Not really. Locking the slide to the rear is mostly an administrative action so it’s not a critical fault. Do I wish it had the same functionality as my G19’s extended slide stop? You betcha. But this isn’t a Glock and we don’t live in a perfect world. With all that said the P290 has been my go-to concealed pistol when my G19 is too big to carry. While I lose capacity, I maintain reliability and gain concealability which are two things the P290RS has in spades. Thanks, I think we are just missing the images at this point. Do you have a long term update on this pistol? I’m looking for a pistol in this size class to supplement a J frame. Thanks! I’m in the market for a small 9mm again and trying to narrow down my selection. I’ve shot the PPS classic, 938, 290, 43, and probably a couple others I’m forgetting. The 43 and 938 are at the top of my list by the 290 was super accurate and the easiest of the 3 to hang on to. As cheap as they are it is a tempting option. I’m buying it to shoot though. I’ve found a couple posts about long term issues with the magazine release though and I haven’t found anything about round counts over 1000 on them. Makes me wonder.